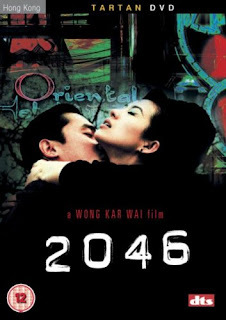 Unlike any other films by Wong, “2046” has a much more complex story, told by jumping through time and reality. 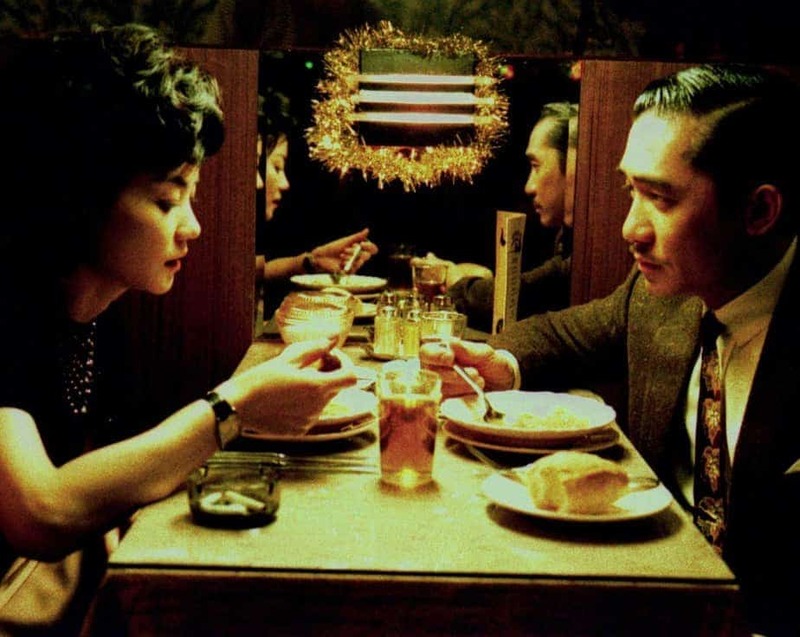 After the events of “In the Mood for Love”, Chow Mo-wan spends life as a writer and returns to Hong Kong after spending some years in Singapore. Getting over his idealized love for Su Li-zhen, he has become a womanizer. The hotel room number from “In the Mood for Love” and another hotel room number in this film where he meets another woman from his past, inspire him to rent the room 2047 of Oriental Hotel and write a sci-fi novel named “2046” then subsequently “2047”. “2046” is presented with four main story arcs. The first one is about the relationship of Chow with Wang Jing-wen, daughter of his landlord, who is in love with a Japanese boy with whom a relation will never be accepted by her father. The second arc is about the relationship between Chow and Bai Ling, who moves into his adjacent room 2046. Bai Ling, who dresses up like Su Li-zhen but is much more aggressive and lustful, seems to have a life much like Chow. The third arc is a flashback of Chow’s life in Singapore and his relationship with another woman whose name is also Su Li-zhen. The fourth arc happens in Chow’s novels “2046” and “2047”, with the former taking place in a mysterious world where nothing ever changes. People travel to 2046 to reclaim what they lost and never come back, except the protagonist Tak. “In the Mood for Love” showcased a hopeless love story, that which is lost even before its inception. “2046” portrays the hopeless attempts to overcome the repression of emotions by the repression of identity. Chow’s idealized love for Su, which he lost, lead him into a state in which he can’t stay true to his emotions. So he moves on without looking back only to look back at those who reminds him of his lost love, which ultimately leads to the realization that he needs to let go of the past. Chow’s thoughts are further explored in the sci-fi world of his novel “2046”. As each of the characters in his life is portrayed as a character in the novel, his real emotions towards them are exposed, as the writing progresses, even to him. Yearning for love is a basic human emotion that has always been a consistent theme in Wong films. Even when doing action/biography films like “The Grandmaster”, the film ends up more or less about love. “2046” portrays the chaos of lost souls who are looking for love from all the wrong places and their suffering when they can’t let go of the love they found or get hold of. Like every Wong film, “2046” is also at its best when the visual and musical motifs lead the viewers to feel what the characters are going through. 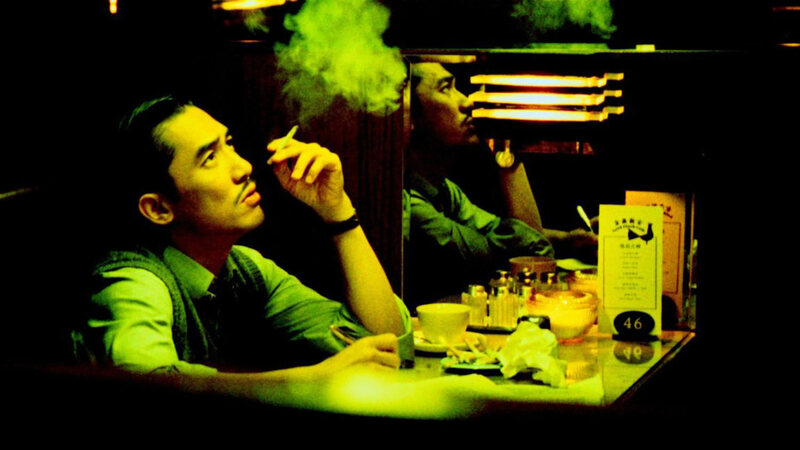 The director-actor combo of Wong Kar-wai and Tony Leung Chiu-wai has always produced great results. Tony Leung continues his streak here as Chow Mo-wan, who’s never exactly what he seems to be on the outside. Zhang Ziyi is the one who shines the most as the stunning Bai Ling. As the classy, luscious and aggressive partner to Chow, Bai’s characteristics show a different version of Chow himself. Faye Wong kept a dreamy feel to her portrayal of both the android in the novel and Wang Jing-wen, who’s dreaming of a life she believes to be impossible and stays a dream for Chow.